(Newser) – If the extent of your horse-racing knowledge starts with the Kentucky Derby and ends with mint juleps, the New York Times' look at the deadly sport is both an eye-opening and jarring read. 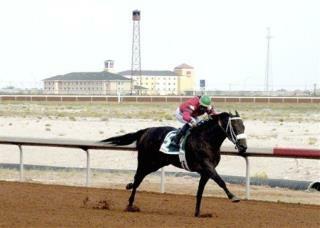 It reports that an average of 24 horses die every single week on the country's racetracks. Most aren't high-profile losses like that of Eight Belles, who was euthanized at the 2008 Derby after breaking two ankles. They're less expensive horses whose deaths typically go unnoticed, their bodies sent not to a pathologist for examination, but to a rendering plant or dump. Crowds are thinning, so more racetracks have added casino gambling. The Times explains that this raises the purses, which seems to spur trainers to race unfit horses. Death and injuries have jumped, for instance, at Aqueduct Racetrack in Queens since a casino was opened last year. Drugs are likely responsible for much of the problem. In a bid to give their horses an edge, trainers will try everything from Viagra to cobra venom to cancer drugs. But legal therapeutic drugs are the bigger issue, as they can allow a horse to push hard through pain, exacerbating an injury. In England, horses can't race on such drugs, and their breakdown rate is half what ours is. New Mexico was home to five of the six tracks with the country's top rates of breakdown and injury in 2011; the Times says the state is "relatively lenient" when it comes to enforcing drug violations. Humans are so awesome. Nah, I'd rather punch every jockey in their noodle-thin necks. Sounds like the industry is just itching for regulation. And they should be regulated, right out of existence. That kind of death rate is unconscionable. Where's PETA when you need 'em? Why are cancer drugs being used to make horses faster when many humans can not afford them?